Taking care of your body starts with taking care of your mouth. After all, a variety of systemic diseases have been linked to poor oral health, including diabetes, heart disease, and stroke. By ensuring your mouth is kept healthy you’re giving your entire body a chance at a healthier and longer life, as well as improved quality of life. 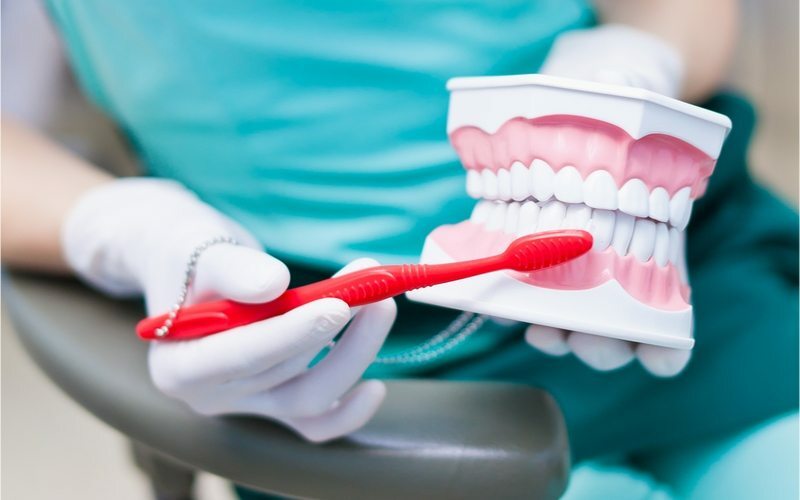 Most dental problems are the direct result of poor oral hygiene, however, many can also be the result of viral, bacterial and fungal infections. It’s important that regardless of the cause of an issue, you come to Dr. Pendleton as soon as possible so that he can evaluate what is going on, make a diagnosis, and treat you accordingly. Proper teeth brushing is the best first line of defense against dental problems possible. The ADA recommends everyone brush their teeth twice a day for at least two minutes. A soft toothbrush is the best way to reach the back of the mouth as well as the various curves within the oral cavity. A hard bristled toothbrush can dull your enamel, the protective outer covering of the tooth, and can lead to both gum damage and tooth sensitivity. It is also recommended that you floss every day. This reduces plaque build up in hard to reach spots, including between teeth and at the back of molars. The more often you floss the less plaque you will continue to pick up over time. It is recommended that you visit the dentist twice a year. By doing this you’re helping to not only establish yourself with the dentist, but also create a baseline of what makes your mouth healthy. This means the dentist will be able to look for any abnormal changes between visits and make a call as to diagnosing and treating them. Additionally, at each of your dental visits you get a cleaning. These cleanings are deeper than your typical brushing and flossing that you do at home. The scrape away plaque and tartar and help to remove surface stains. A healthy diet impacts more than just your waistline. It also plays a role in how healthy your mouth is. Processed foods, foods high in carbohydrates, and foods high in sugars all lead to dental decay. This is because the bacteria in your mouth love to eat sugary foods. As they eat this food they release an acid that breaks down your tooth’s enamel and leads to decay. This decay then has to be treated through a filling, which is put inside of a tooth to help restore its normal function. Even drinks like diet soda can cause serious damage to your teeth. The carbonation in a soda can eat away at your enamel. This is why it is important to brush after any time you consume a soda, energy drink, or candy.